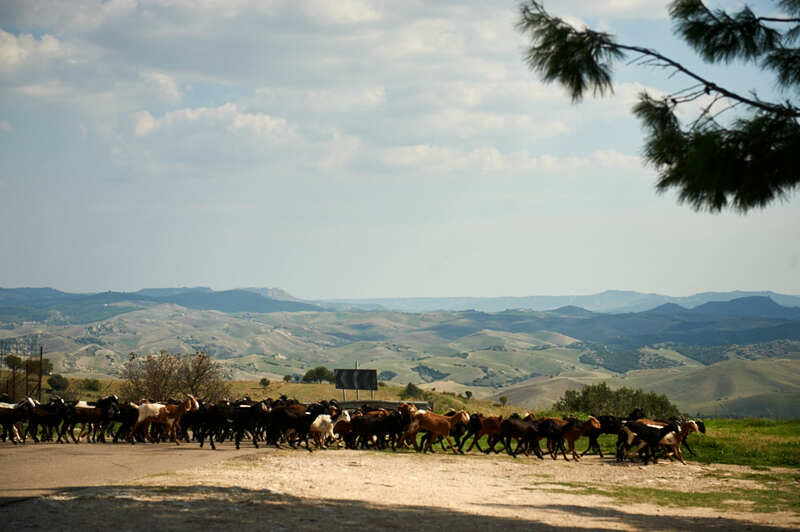 After all those beaches and olive hains in Salento I´m back in Basilicata – green and brown hills with little towns on top. 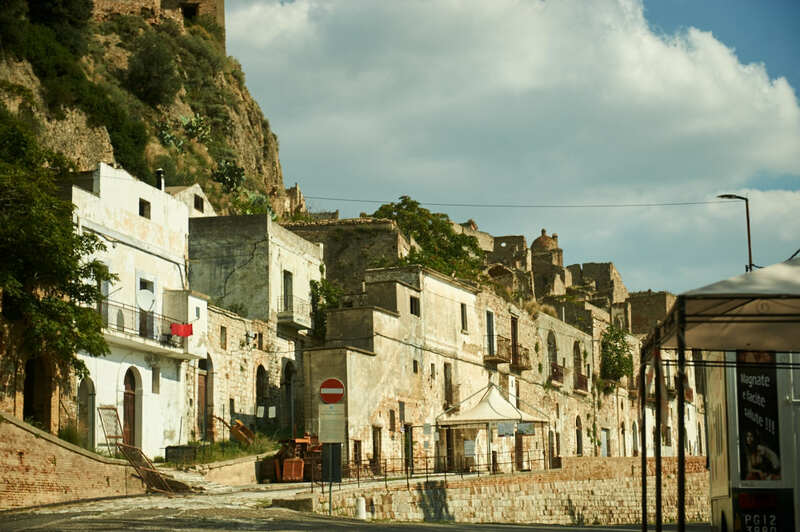 I´m on my way to Maratea, Basilicatas one and only town on the Tyrrhenian coast. 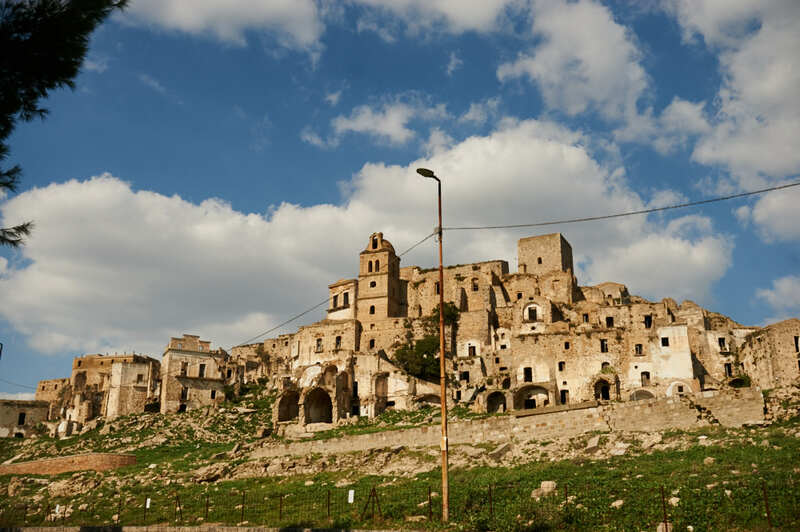 As I´ve already been to the sassi of Matera last year, I wanted to visit some other towns and make a longer stop at Craco. At least that was the plan! But again I had miscalculated how long it would take me to drive there and there might been some minor detours. 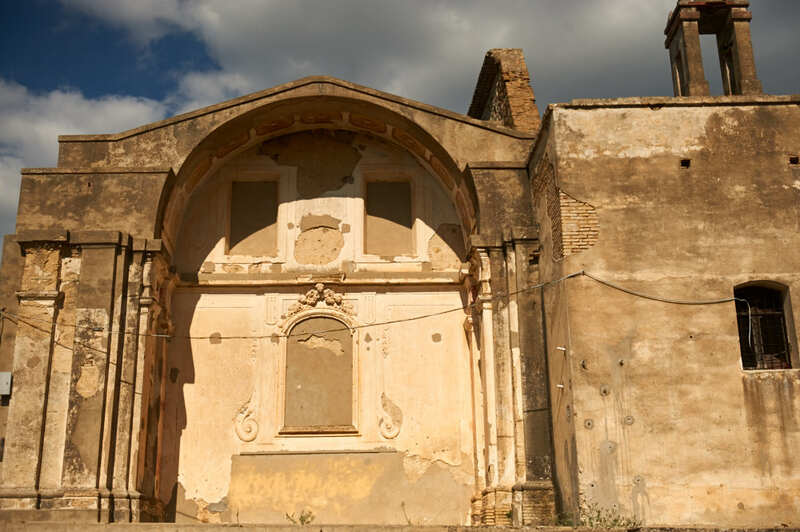 But at last I arrived at the ghosttown of Craco – too late to join one of the guided tours around the city but at least I catched a glimpse of it from the outside. I´ll be back! 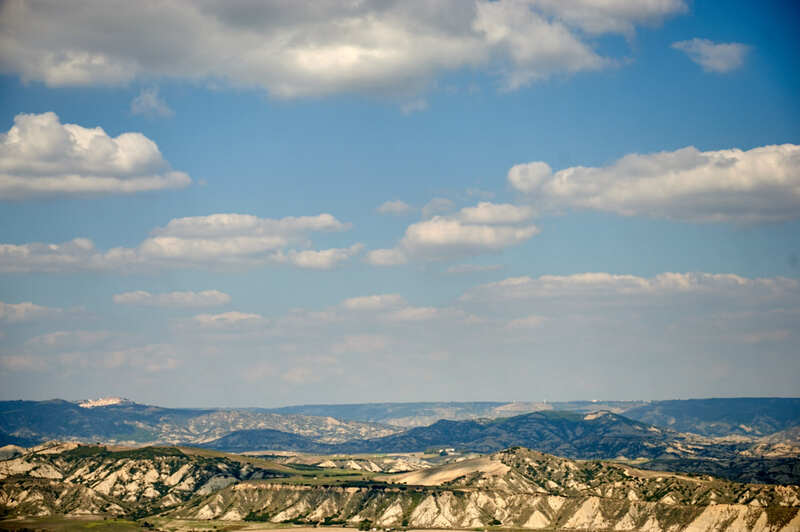 Craco was first mentioned around 1060 in a document, but there are traces of human settlements back to 800 – 900 BC. 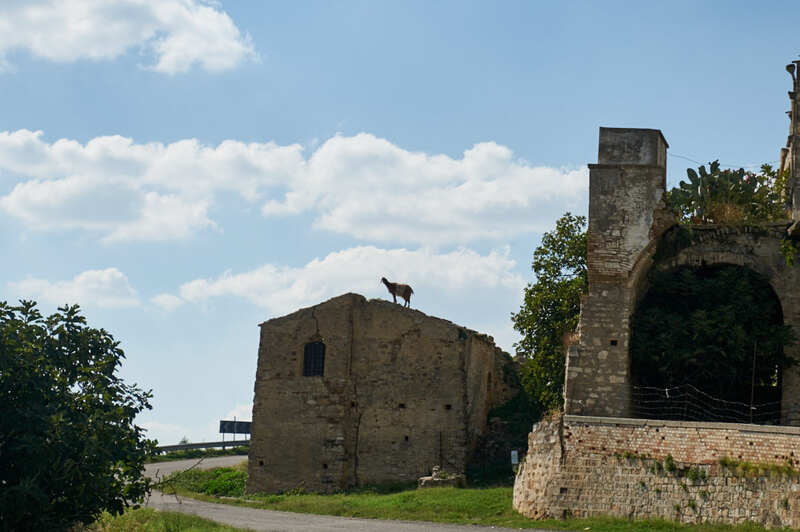 The oldest still standing building is a Norman tower built about 1040. 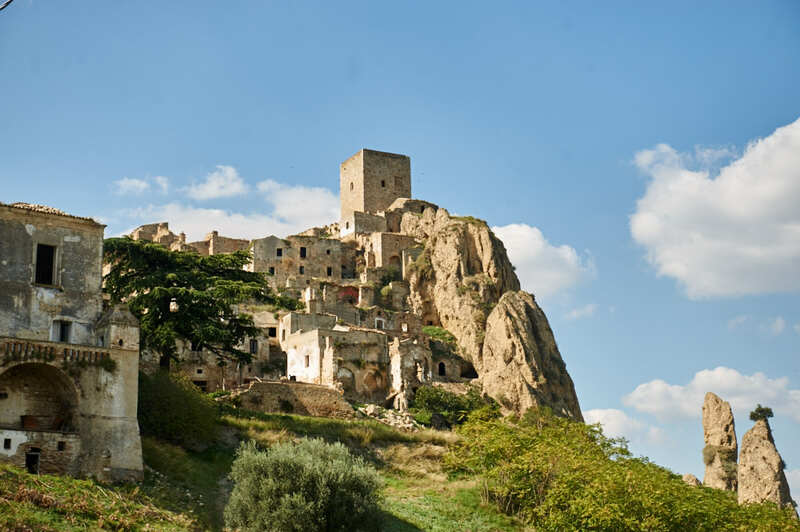 Throughout the 16th century the population in Craco grew immensly to 2590 inhabitants. 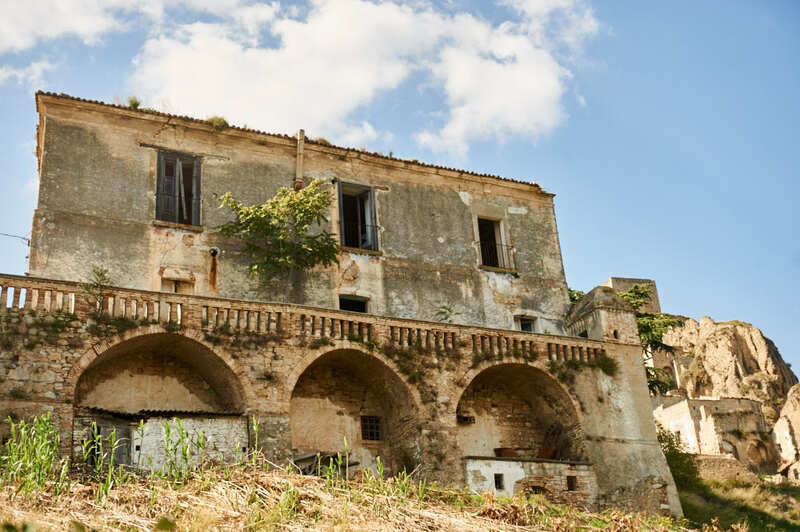 It was mostly farmers but also artisants, some professionals (doctors, notaries), clergies and 18 monks in the monastery of St. Peter, built in 1630. Towards the end of the 19th century the city limits had reached its maximum expansion. There were several palaces in various parts of the town, as well as public buildings like the town hall, schools, a cinema and shops. The area has always been affected by landslides, in 1600, 1805, 1857, 1870 and 1933. 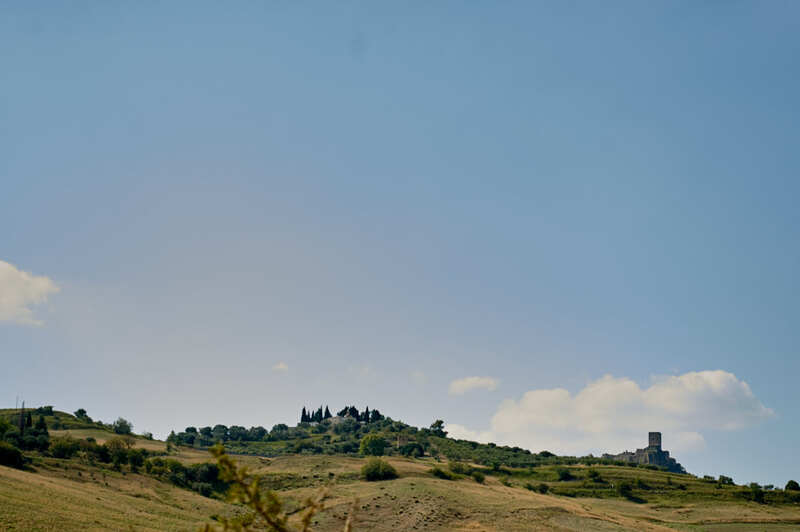 Craco was built on a hill of “variegated clay” which are instable. Even so the crachesi never abandoned their town until 1963, when the landslide was mainly caused by leakages of the pipe network and other consequences of the urban expansion. 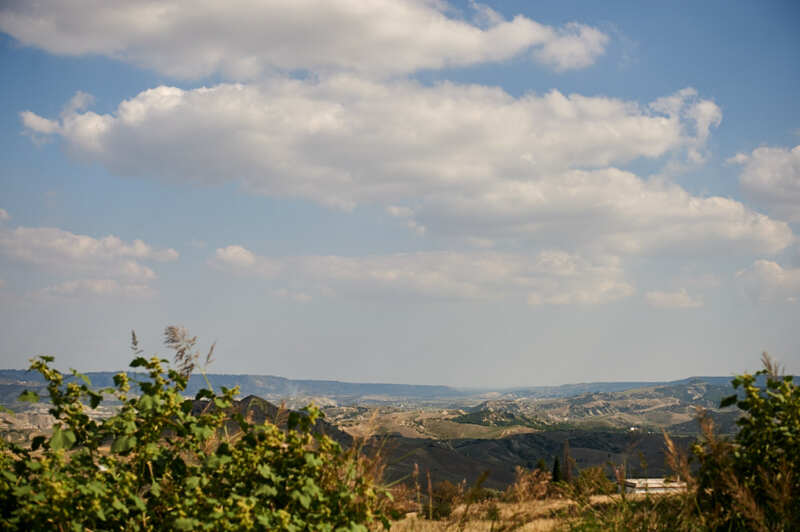 From 1960 to 1980 more than half of the citizens of Craco left for Northern Italy and abroad. 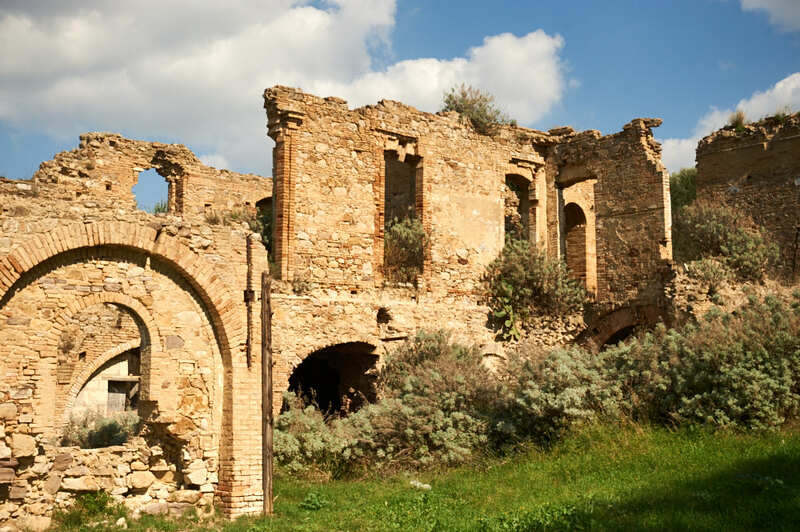 After an earthquake in 1980, the ancient site of Craco was completely abandoned. 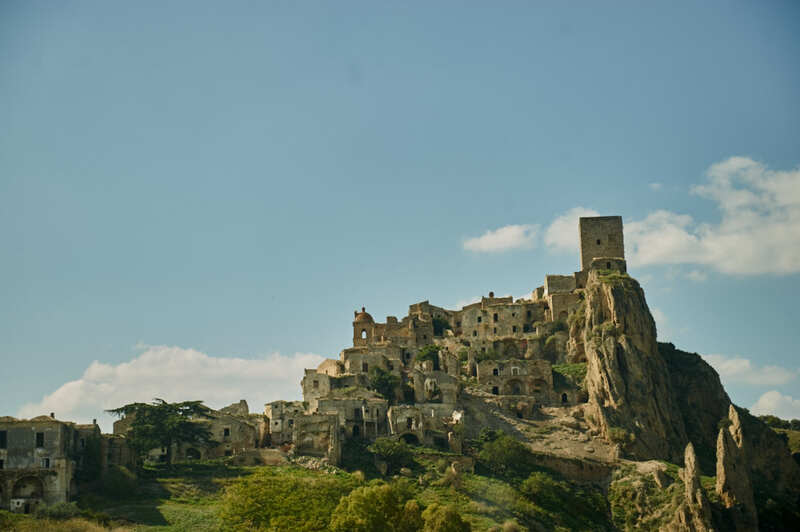 Because of its unique landscape and beautiful setting many movies have been shot in and around Craco: “La Lupa”, “Christ stopped at Eboli”, “Saving Grace”, “Quantum of Solace”, “Wonder Woman” and many more. 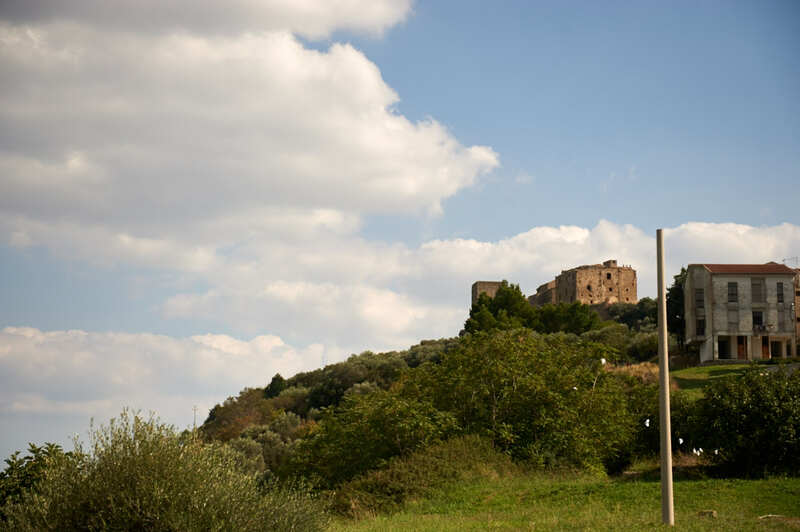 In 2010 Craco Vecchia was named to the World Monuments Fund Watch List and 2015 (?) 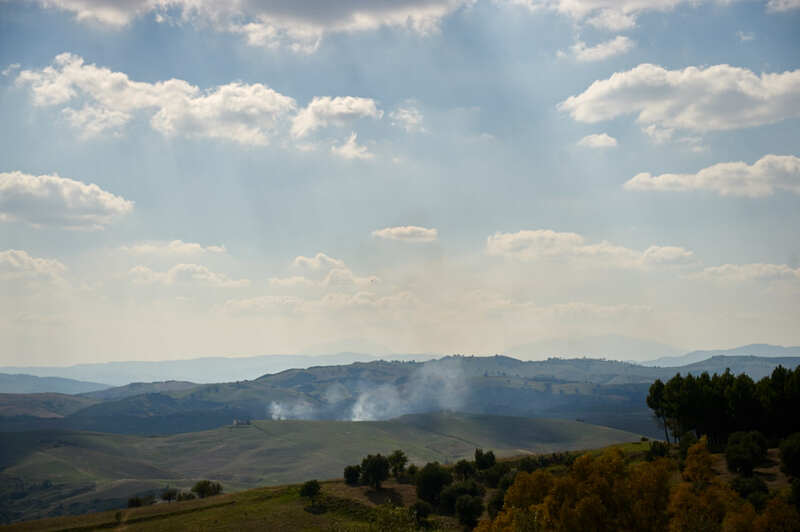 declared a “Parco Museale Scenografico” (kind of an open air museum) and it is no longer possible to visit the town on ones own. 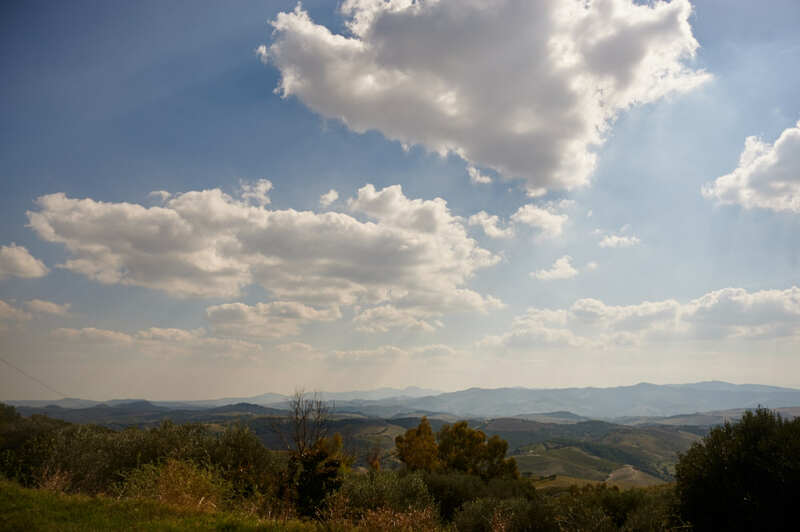 There are daily guided tours in italian and english starting from 10am till sunset. For more information have a look at their website: Craco card (museum) The information center is really easy to find and I definately will take one next time! Absolutely, I also can´t wait to exlore it further! It is! I can´t wait to explore it next time.